Have you ever wondered if your decisions could change the course of history? Questioned whether or not bad things happen for a reason? In Sarah McCoy's THE MAPMAKER'S CHILDREN: A Novel (in paperback February 9, 2016), two women's lives are inextricably linked as they struggle through personal conflicts and wade through mysterious secrets. As the chapters alternate between these two commanding female protagonists, the reader must redefine courage, family, and destiny alongside these two remarkable women. Sarah Brown, the fiercely independent daughter of abolitionist John Brown, is a talented artist in 1860s West Virginia. When Sarah discovers that she cannot bear children, she turns her skills toward helping others and becomes one of the foremost mapmakers for the Underground Railroad. Taking cues from Slave Quilt codes, she hides maps within her paintings as the United States moves toward a bloody civil war. Fresh off my review of Christmas Bells, my mind easily slipped into the time periods of The Mapmaker’s Children. Once again we have two main narratives: One set in the 19th century during the American Civil War, and another transpiring within modern times. In the older plot line we find Sarah Brown, daughter of abolitionist John Brown, a historical figure that many of us might have studied in school as we learned of the Underground Railroad. 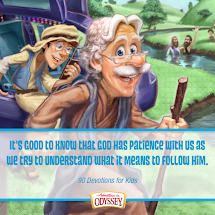 Sarah’s father meets a tragic end, but his cause does not halt with his death. It carries on with those who strove for the cause of liberty of all mankind, slave or free. Sarah preferred to make her nonviolent contribution to the abolitionist cause through her artwork, creating paintings and dolls to help lead slaves to the north, to freedom. She faces conflict both without and within, dealing with the political issues of her society as well as battling issues of the heart. She was a strong, brave woman and I came to admire her greatly. I cannot say I agreed with one particular decision she made in the light of possible romance, but her intentions were honorable, and I respect her for her choice. Author Sarah McCoy has done a masterful job of taking the facts as they are known in history and weaving them into a semi-fictional tale that is very believable. We may never know what went on in the hearts of many of the characters in The Mapmaker’s Children, but I enjoyed the choices that McCoy made in her craft, as she painted a picture of love, loss and social liability. As the chapters alternate, we are introduced to Eden and Jack, a couple which has struggled with infertility for years and is beginning a new life away from the city in somewhat rural New Charlestown, West Virginia. Like Sarah Brown, Eden wrestles with the notion that bearing children may never be in her future. While I have personally experienced a miscarriage, I have never known the pain of long-term infertility. There were times when Eden’s pain was so visceral, I wondered if it would be difficult for an infertile couple to read this novel. I imagine they would either relate to Eden and Jack’s story in a way that would be profoundly comforting, or McCoy’s words might be too painful to take in. She isn’t inappropriate in her descriptions – I could just easily imagine these portions to be difficult for some. Regardless of this, I highly enjoyed Eden’s story line. Between her strained relationship with her husband, to the nascent friendships she has with the residents of New Charlestown, to the unexpected affection for an adopted dog, I loved the interactions she had and the journey she took from August to December 2014. She’s a wounded woman, but yet strong and working to make something of herself. I found her and the residents of New Charlestown to be colorful, well-drawn and captivating. The added mystery of certain contents of her antique home tied her life to that of Sarah Brown quite nicely, making the transition from 19th to 21st century effortless. 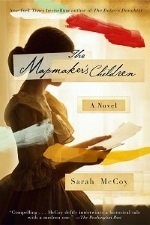 Sarah McCoy has a wonderful novel with The Mapmaker’s Children. She has blended the truth of the past with realistic fiction, and merged this into a modern story that is captivating and heartfelt. I highly enjoyed the choices she made in her narrative, and it has brought me greater appreciation for topics such as the Underground Railroad, infertility, forgiveness, and risking all for what you hold dear. Both Sarah Brown and Eden Anderson are characters to be admired, and I heartily recommend this title to my readers. TLC Book Tours has graciously offered a paperback copy of The Mapmaker's Children to one U.S. entrant. Please see the Rafflecopter widget below to enter to win. The contest period ends at 12am EST on February 29, 2016. Good luck to all of the entrants! For a bonus opportunity to win, stop by the book's Goodreads listing and enter that giveaway as well! SARAH McCOY is the New York Times, USA Today, and international bestselling author of the 2012 Goodreads Choice Award for Best Historical Fiction nominee The Baker's Daughter as well as The Time It Snowed in Puerto Rico and the novella "The Branch of Hazel" in Grand Central. She has taught English writing at Old Dominion University and at the University of Texas at El Paso. She calls Virginia home but presently lives with her husband and their dog, Gilly, in El Paso, Texas. Sarah enjoys connecting with her readers on Twitter at @SarahMMcCoy, on her Facebook Fan Page or via her website, www.sarahmccoy.com. Visit TLC for more content and tour stop locations! I would like an old home as long as there were no problems and the kitchen and bathrooms had been remolded. They have so much more character and I feel they were better made than the ones going up today. I would enjoy living in an old home with charm as long as the house is habitable with all the amenities I like. I'm a big fan of dual narratives and historical fiction so this book is right up my alley. One of my favorite quotes in a book is about infertility and letting go...so I love the themes of infertility and forgiveness! I enjoy reading dual narratives. 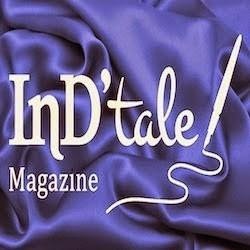 I also enjoy stories that bring hope. I have had this sitting in my TBR for far too long. I really need to get to it. Great review. And if you're really busy, try the Audiobook version. I utilized that for about half of the book, and that really sped up my pages "read". I listened during chores and such.